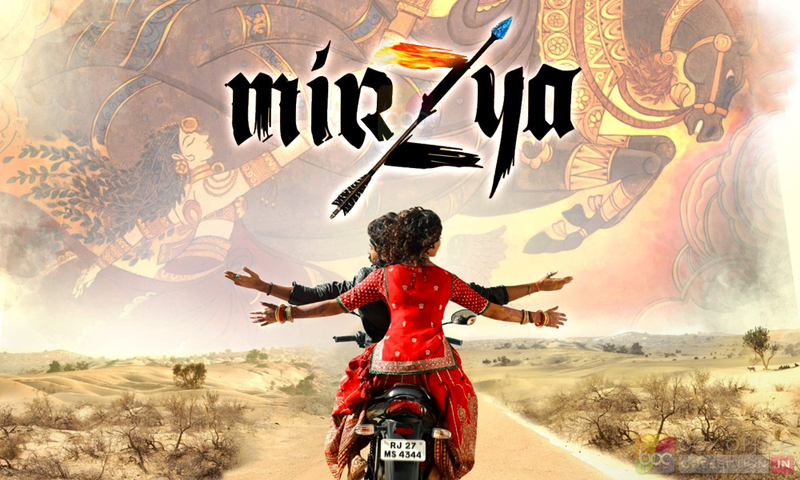 From the land of Punjab in northwest India comes the legend of Mirzya-of a warrior named Mirzya who won the love of a beautiful girl (they are always beautiful in these stories) who was forbidden fruit as she belonged to another community. Because marriage between people of different communities was forbidden in ancient times, they had no choice but to elope. Mirzya was a great warrior whose arrows unerringly found their mark. As men from her own community closed in on the spot where Mirzya and his love were resting, the girl was fraught with apprehension as to what would happen if it came to a fight between Mirzya and her kinsmen. Surely Mirzya would kill them all with his sharp arrows. Fearing a slaughter of her own people by her lover, she broke his arrows into two while Mirzya was asleep. But when her kinsmen closed on to the lovers, they showed no mercy while Mirzya looked helplessly at his broken arrows and then to his love in dispair. They killed him with their arrows and thus the legend became a famous tragedy. So in the modern era Suchitra (Saiyami) belongs to a royal family and is best friends with Munish (Harshvardhan) from their young days in school. But Munish loves her so much that he kills his teacher in school because he has beaten Suchitra. He escapes from reformatory school and takes refuge in a poor Muslim family taking the name Adil. Suchitra grows up to be betrothed to a handsome prince. But chance brings Suchitra and Adil together and he reveals that he is really Munish. Suchitra can’t take her hands off him and soon the two resume their childhood love. But love between a poor boy and a royal is like tasting forbidden fruit and once again the legend of Mirzya is repeated with the lovers being forced to elope and the old situation of arrows being broken replaced in the modern era by bullets being removed from gun. The story begins with great promise and the idea of showing the same story in two parallel tracks and mixing parts of both tracks one after another is simply novel, at least to me. I found myself relishing the story of Mirzya as shown on screen even though the end was bound to result in tragedy for both tracks. Saiyami Kher, who is the granddaughter of yesteryears Marathi actress Usha Kiron and Dr Manohar Kher, who was my professor of anatomy in medical college, reminded me of her grandfather in looks at least- though I hope she does not match him in temperament, for Dr Manohar Kher was a very hyperstrict Professor; he failed me once in my anatomy exams in college. Harshvardhan Kapoor is hirsute like his father actor Anil Kapoor at least on face; he is bearded with thick hair, though he did not get a chance to show whether his body is as hairy as Anil Kapoor’s. Somewhere along the line, the movie which began raising some expectations loses steam. The proceedings in the second half lack the zest raised by the beginning. Acting is okay by both Saiyami and Harshvardhan without being anything special. Photography is decent and so are the colours. Music is ok. Problem is- nothing is notable, everything is somewhat better than ordinary. But it would have required a much better than ordinary effort to make the movie a hit because it has no stars but newcomers. Result is that the movie has already flopped within a few days of release.